I realized recently that I've never gotten around to sharing photos of our Disney vacation that we took in January. After any trip, I always feel the need to distance myself from it, that way when I go back through the photos they are magical all over again. Disney was great (and I will share those photos soon), but the best parts of our trip were the days spent at Clearwater Beach. 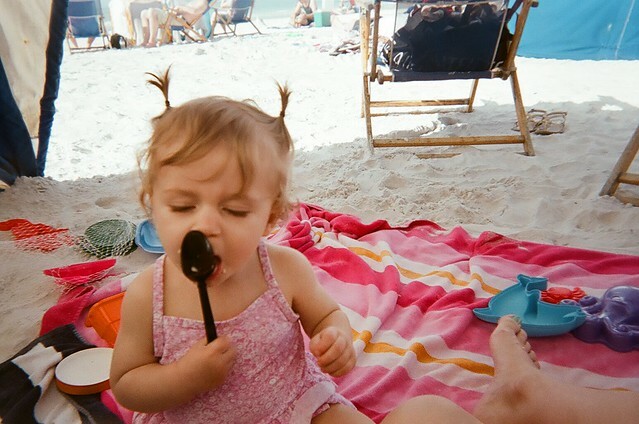 Sure, it was a little chilly and Poesy insisted on eating the sand, but we only see the ocean once or twice a year. 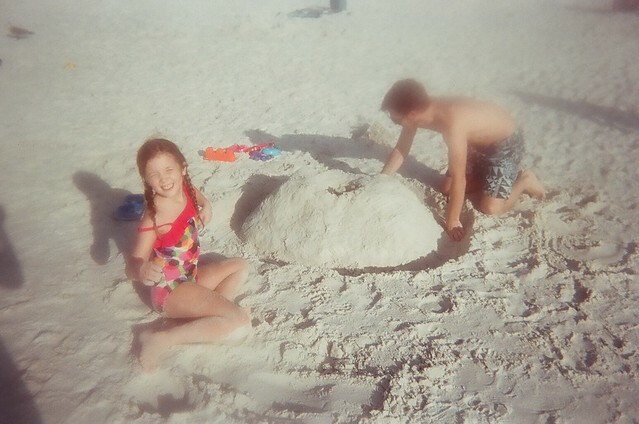 For this Midwestern family, seeing the ocean is like visiting Neverland. There is absolutely nothing like it. 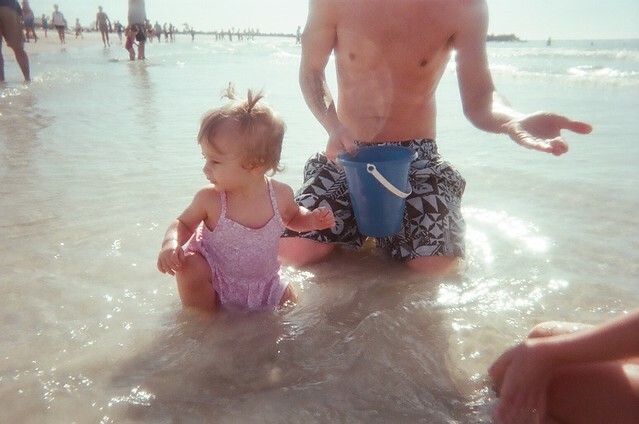 This was before Poesy could even walk-- she actually started walking during this vacation. Now while I watch her run and spin and climb, I think back to this late January/early February period and it almost feels like another life. Seems you had a great time ! The underwater pics are awesome, and Poesy's pigtails are ridiculously cute ! Excellent pictures. I actually live in clearwater, so I know exactly where this is... And I am super jealous right now. Haha, I would love to be in Clearwater instead of Afghanistan. Hope you guys had an awesome trip!!!! 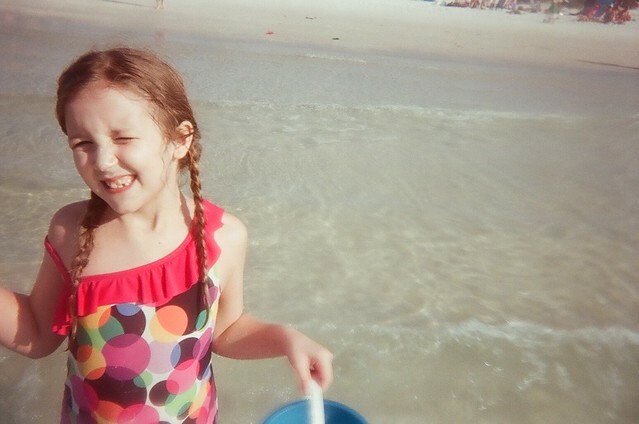 I loved Clearwater when I visited with my family a good few years ago, and LOVE Disney World. I'll be going to Orlando for the 6th time next year and I can't wait. Water parks never do measure up to the real thing! Sweet! love their little bathing suits!! that first picture is perfection! and oh how we feel the same way about the ocean! i can't wait to see your disney photos! i need to take max there soon soon soon! So dreamy! And I am absolutely loving your bathing suit...and I know what you mean about the beach. It's a completely rare experience in my life too! 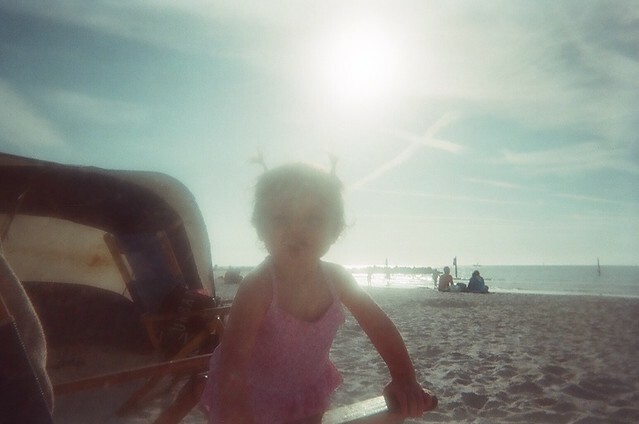 Love your bathing suit and as always, Poesy's little baby pig tails. TOO ADORABLE! 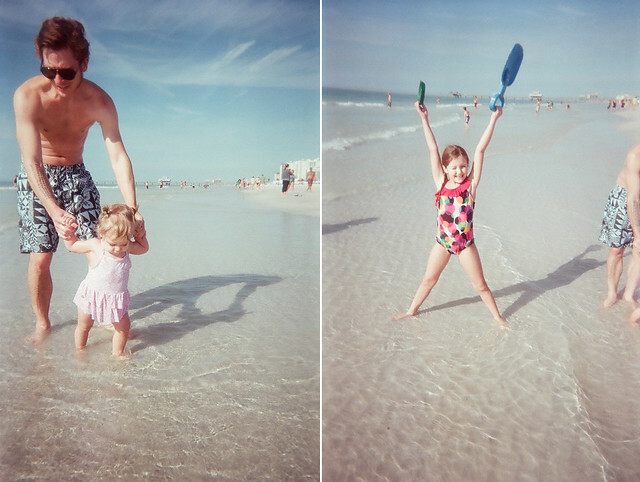 Clearwater beach was one of my favourite vacation destinations as a child, we did two family trips from the UK - it's still the place my dad wanted to go back too before he was to ill to fly. We loved it because it seemed very relaxed and independent - I hope it still is, I'm a little scared to go back there in case it's not as good as I remember it to be. I'm glad you all had a great time there, the pictures are lovely. What a lovely family trip. Being a Floridian, I forget and take for granted how wonderful the ocean really is. Clearwater Beach is definitely one of the best beaches in Florida! I hope you have a wonderful day at the Water Park! That was a great place to set for family outings and gatherings. The ambiance looks good and very refreshing. Love these pictures! Under water pictures are fun and I do not take them enough! I will remember that next time I go on a vacation! We used to go there every year as a kid. I love it there. Did you hit Crabby Bill's? They have the best grouper sandwiches ever. We live in Central Florida and can't get enough of the beach or Disney.... We've been really bad this week (we work at home)...we've managed to blow off our chores and head over to Daytona 4 out of the last 7 nights. If you ever find yourself in the Sunshine State again make a point of visiting one of our local springs. We are only 5 minutes from Deleon springs but there is something even more magical and uniquely Florida about our freshwater always chilly spring heads. could your family get any cuter?! love these - that first picture cracks me up! 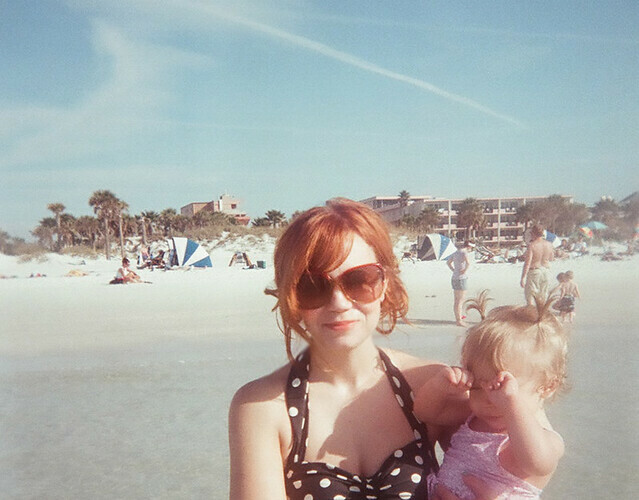 I love these beach pics! I was born in Clearwater & it made my heart happy to see it's beauty again. 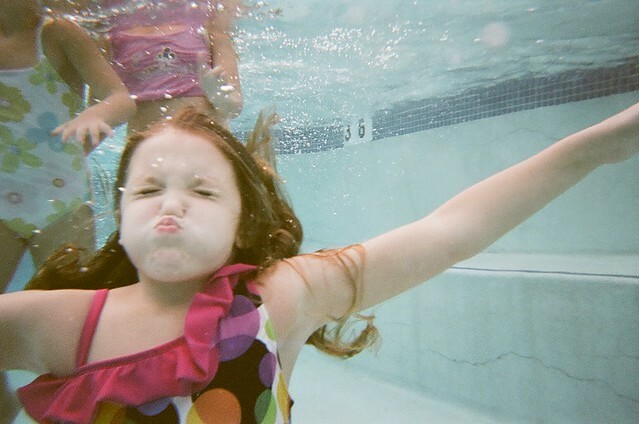 Haha that underwater pic of Hope is awesome!!!! Posey's hair is cracking me up! It's so cute! SO sweet! Looks like you had a blast! That water looks like a dream! I miss the days of living near the ocean...I hate being landlocked. Wow Summer is really here! So cute! I've lived near "ocean" now for several years, and before that Ilive right on lake michigan. I think I need water to survive. I just watched a tv special on an imminent yet eventual tsunami coming toward my home state sometime in the next hundred years and I am thinking seriously about moving back to the midwest. I used to live in Clearwater! It was so nice hitting the beach for a sunset swim right after work! Now I live in Cleveland, and BOY am I excited to visit the shore again this summer! So glad you enjoyed it! Aww that is adorable! Looks like you guys had a great time! This looks so fun I cant wait till my girls are old enough to take to disney world. Ill admit Im a little excited to go for the first time myself too! Looks like you had fun there! That is so very odd to not live near the ocean! In tiny wee New Zealand, is is pretty much impossible to not be a drivable distance from the sea! : ) It looks like you had such fun - Hope is such a cutie! 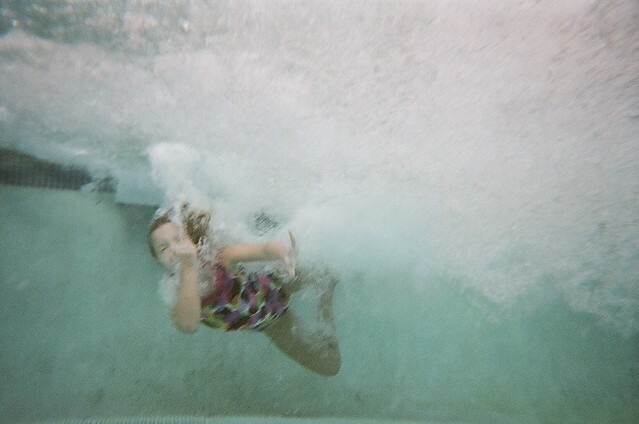 underwater pictures are so much fun!! I can't believe you came to clearwater, I live just down the street! Our beaches are truly a gem, I'm so glad you enjoyed it. I really love your sunglasses, what brand are they? I broke my red sunglasses and now I'm looking for some new ones. Nice !!! And I love your pictures ! 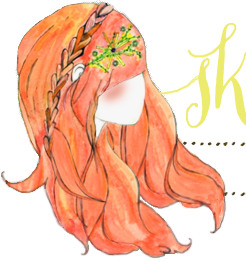 Give to your post a special atmospher of happiness and summer time.